Ye-haw! 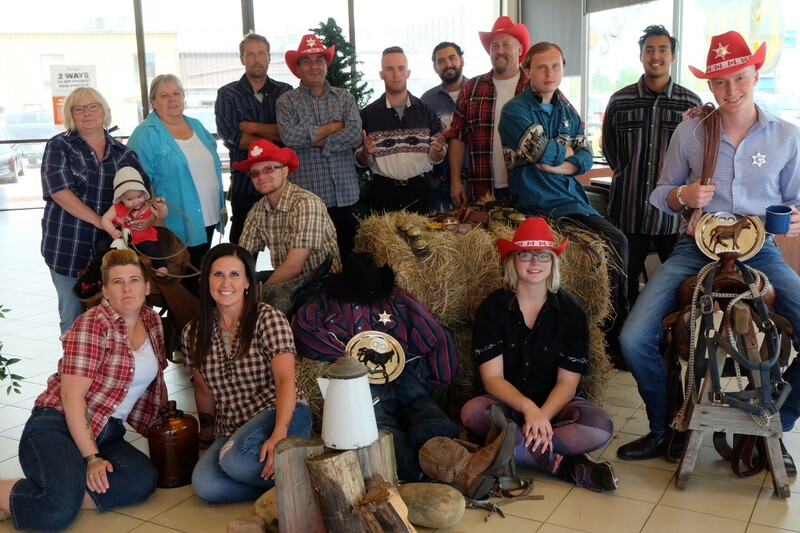 The friendly folks down at Go Auto Outlet Red Deer had a dang-tootin’ fun time celebrating the 2018 Westerner Days Exposition. Despite the hooch’ (see Trina and Heather below), the team managed to lock up a few very lucky prize winners. We had more fun than a pig in mud meeting everyone that came by, and couldn’t tell the cowpokes from city slickers with all those great outfits! Westerner Days is all about showcasing Central Alberta’s Westerner spirit. The Go Auto Outlet team of 25 cowboys and cowgirls ponied up and spent days constructing working campfires, shop fronts, and a even a prison. We donned our plaids, pulled jeans up high, and won Westerner Days’ Best Dressed Business Contestant! Best of all, we showed everyone in Red Deer that they can save a horse, and ride a very affordable used vehicle from Go Auto Outlet. 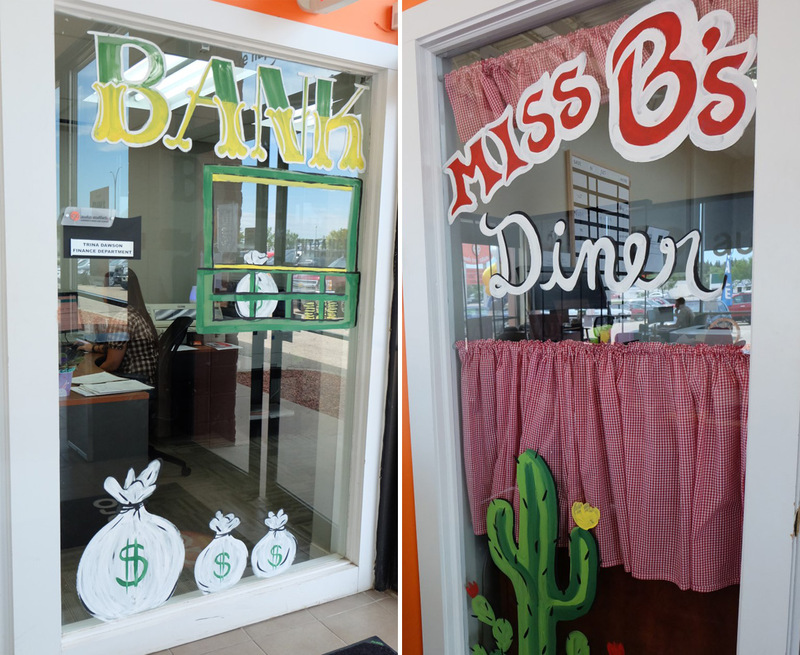 If you had fun participating in Go Auto Outlet Red Deer’s Westerner Days contest, stay tuned for many more to come — we just wrapped up our July test drive appointment, in which we payed off the winner’s entire car payment, just for taking a test drive! Be sure to also visit our instagram @goautooutlet and @goautooutletreddeer and enter to win a weekly car detailing package. Our contests are always getting bigger and better, so stay posted!